Russian billionaire Yuri Milner has announced a new initiative called Breakthrough Listen, a 10-year project that will search for radio and light signals emitted by extraterrestrials. At a cost of $100 million, it’s the largest sum of money ever allocated to the effort. As a discrete SETI endeavor, Breakthrough Listen will dwarf anything that has preceded it. As reported in Reuters, less than $2 million is spent each year on SETI projects around the globe. Milner’s new project is set to use some of the world’s largest radio telescopes, and be advised by a hand-picked team of scientific experts. What’s more, technological improvements—including boosts in computer power and telescope sensitivity—will make Milner’s dollars go much further than they did in the past when SETI had more significant funding. 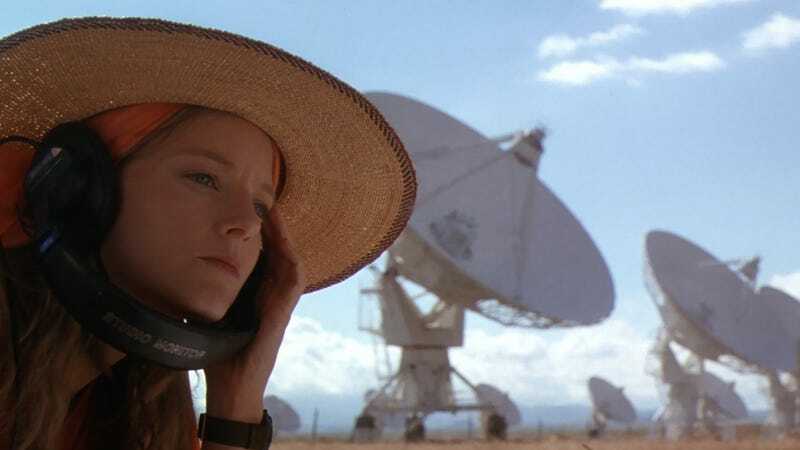 New tools will allow SETI scientists to scan several billion radio frequencies at a time, and search 10 times more sky than previous efforts. To which Milner added: “Today we are launching the most comprehensive search program ever. Just in one day Breakthrough Listen will collect more data than a year of any previous search,” he was quoted as saying in the Belfast Telegraph. Milner, an entrepreneur who made his money through investments in tech firms such as Facebook, was named after Russian cosmonaut Yuri Gagarin, and devoured Carl Sagan’s book, Intelligent Life in the Universe, when he was a 10-year-old living in Moscow. “It’s the most interesting technological question of our day,” said Milner in an interview. Over the course of the next 10 years, Milner hopes to see the project listen for radio transmissions in the Milky Way, along with the 100 nearest galaxies (the latter of which is an astronomical long-shot given the extreme distances involved, but it’s worth trying). The radio scans will cover the largest spectrum ever. Encouragingly, Milner is not limiting the search to just radio signals; the project is set to hunt for light-based signals using a telescope at the Lick Observatory in California. Breakthrough Listen will also use and develop new software, which will be open-source.